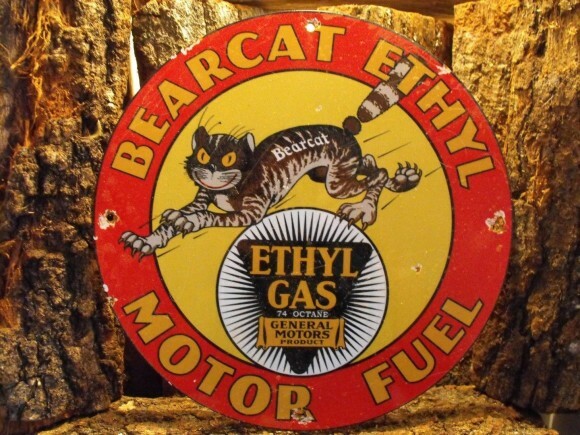 This sign is for Bearcat Ethyl Motor Fuel. The sign’s colors are yellow, red, black, and white. The text on the sign reads: bearcat Ethyl Motor Fuel ethyl gas general motors product. The sign shows a cat in the center with the Ethyl logo below and text surrounding.